Replacement under sink water filter cartridges, are available in Standard carbon, Lime scale inhibitor & heavy metal reduction models. The cartridges are also available in various sizes 5”, 10” & 20” to fit almost any cartridge housing. 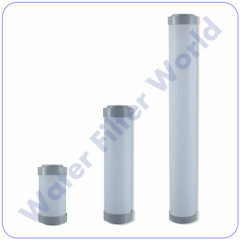 Our replacement cartridge water filters are designed to fit into standard 5”, 10” & 20” cartridge housings.